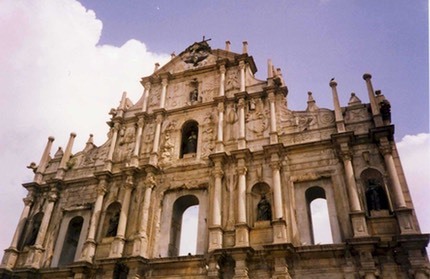 We paid a high speed visit to Macau on the hydrofoil for a quick circuit of the obvious sights before speeding back to Hong Kong to get the plane home. Jonna had a raging hangover so our beautiful Portuguese lunch turned into that well known hangover recovery - quarterpounder with cheese. I also managed to have a great argument with a touring group of American Christians putting on an impromptu play of the fight between good and evil. Total rubbish & they didn't know who Darwin was.